Sotogawa-cho, Choshi, Chiba Prefecture, Japan. Chiba University. Tetrasporangial sori. Hideki Haga. © Hideki Haga (902180827@office.chiba-u.jp). Sotogawa-cho, Choshi, Chiba Prefecture, Japan. Chiba University. Fronds with tetrasporangial leaflets. Hideki Haga. © Hideki Haga (902180827@office.chiba-u.jp). Sotogawa-cho, Choshi, Chiba Prefecture, Japan. Chiba University. Transverse section of frond. Hideki Haga. © Hideki Haga (902180827@office.chiba-u.jp). Sotogawa-cho, Choshi, Chiba Prefecture, Japan. Chiba University. Cortex and medulla in longitudinal section. Hideki Haga. © Hideki Haga (902180827@office.chiba-u.jp). Sotogawa-cho, Choshi, Chiba Prefecture, Japan. Chiba University. Cortex and medulla in transverse section. Hideki Haga. © Hideki Haga (902180827@office.chiba-u.jp). Published in: Okamura, K. (1914). 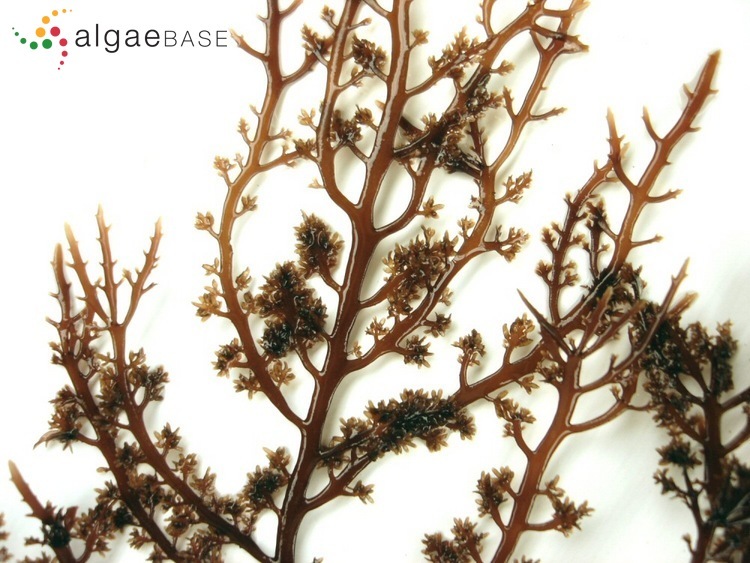 Icones of Japanese algae. Vol. III pp. 79-121, pls CXXI-CXXX. Tokyo: published by the author. Lee & Kim (1995) conclude that the plants reported from Korea are a variation of G. amansii. Japanese: Obusa (Arasaki & Arasaki 1983). Syntype localities: Miyake Isl., Kodzu Isl.,Amatsura & Nemoto, Prov. Boshyu; Shirahama & Inatori (Prov. Idzu); Prov. Sagami (Okamura 1914: 99). Type: SAP herb. Okamura (Yoshida 1998: 637). Santelices, B. & Miyata, M. (1994). 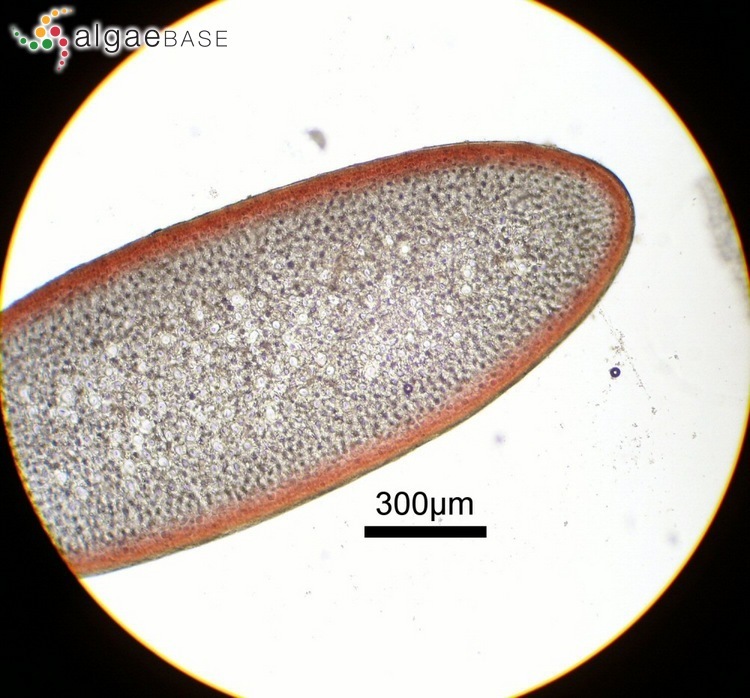 Observations on Gelidium pacificum Okamura. 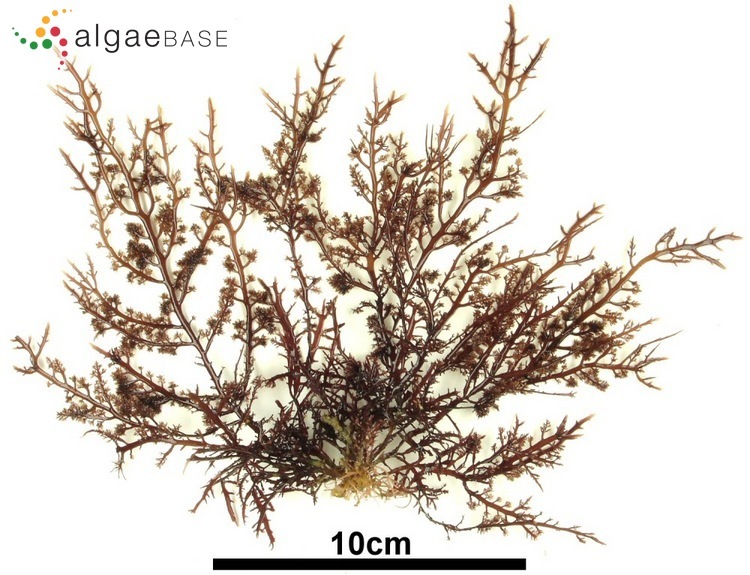 In: Taxonomy of Economic Seaweeds. (Abbott, I.A. Eds) Vol.4, pp. 55-65. Santelices, B. & Stewart, J.G. (1985). 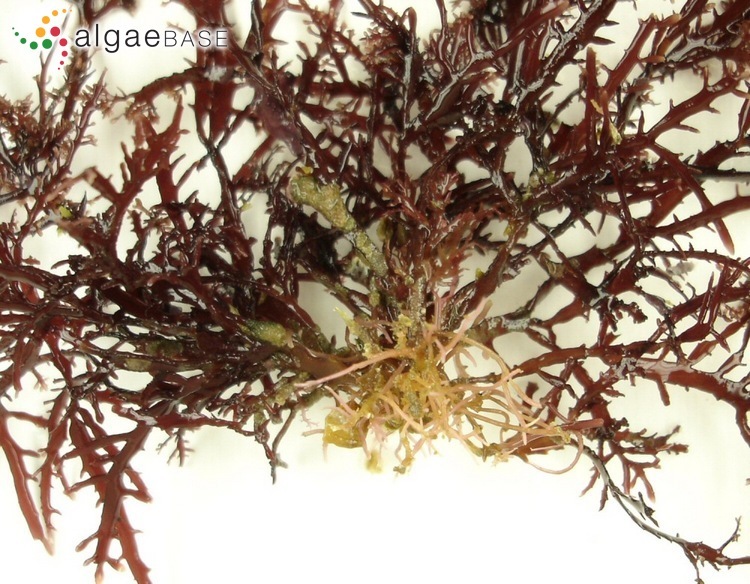 Pacific species of Gelidium Lamouroux and other Gelidiales (Rhodophyta), with keys and descriptions to the common or economically important species. In: Taxonomy of Economic Seaweds With Refernce to some Paicific and Caribbean Species. (Abbott, I.A. & Norris, J.N. Eds), pp. 17-31. La Jolla: California Sea Grant College Program. Zhang, J.F. & Xia, E. (1988). 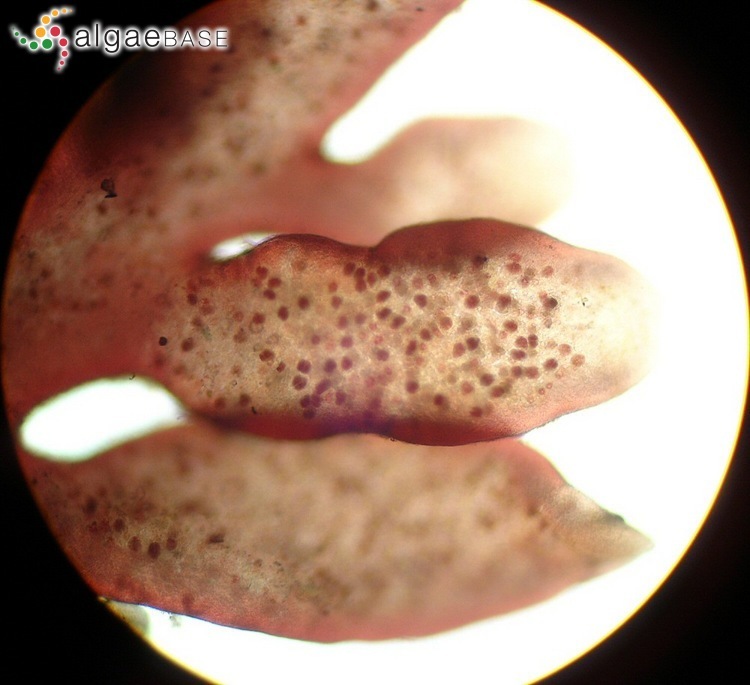 Chinese species of Gelidium Lamouroux and other Gelidiales (Rhodophyta) with key, list and distribution of common species.. 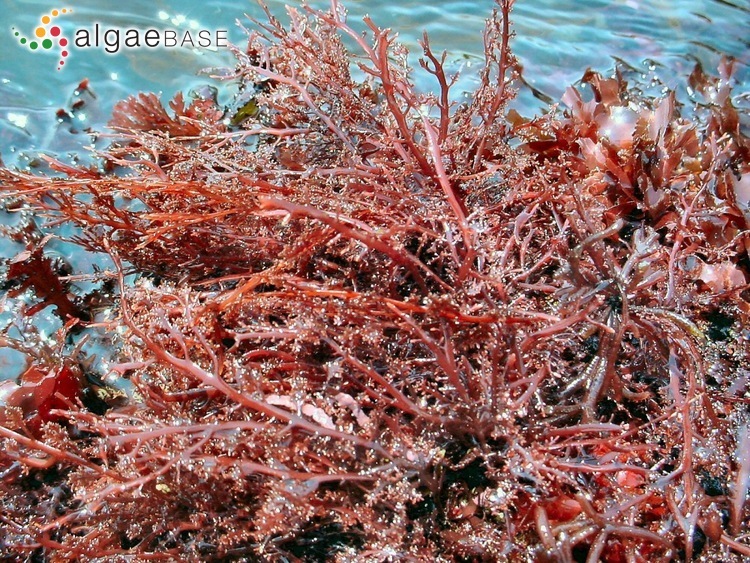 In: Taxonomy of economic seaweeds with reference to some Pacific and Caribbean species. (Abbott, I.A. Eds) Vol.2, pp. 109-113. California Sea Grant College Program. Accesses: This record has been accessed by users 3008 times since it was created. Akatsuka, I. & Iwamoto, K. (1978). 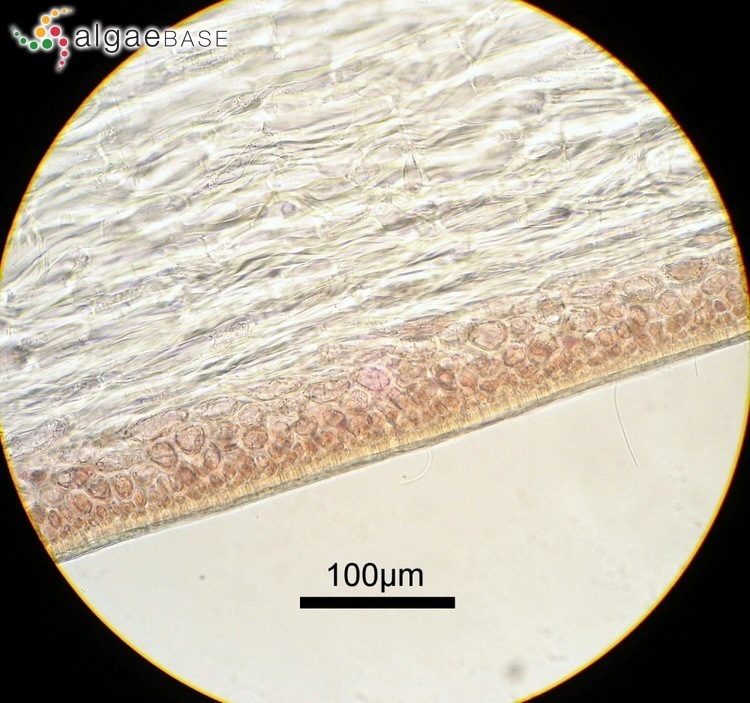 Histochemical localization of agar and cellulose in the tissue of Gelidium pacificum (Gelidiaceae, Rhodophyta). Botanica Marina 22: 367-370. Akatsuka, I. & Iwamoto, K. (1979). 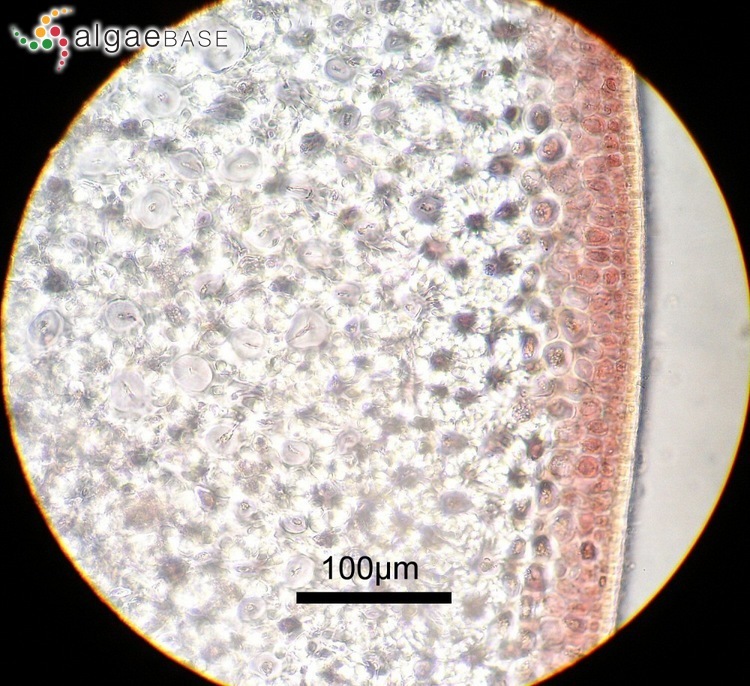 Histochemical localization of agar and cellulose in the tissue of Gelidium pacificum (Gelidiaceae, Rhodophyta). Botanica Marina 22: 367-370.